This property of the skin is being harnessed by a micro-needling device called the Skin Pen to erase fine lines or wrinkles from any part of the face, neck, bust, back, or rest of the body. The Skin Pen contains a set of fine needles embedded into a head. When activated, the head vibrates gently and the needles impound on the fine lines or wrinkles in the skin to cause micro injuries, without leaving any scars. As a natural reaction to the injuries, vigorous production of collagen and elastin is triggered in the area, which effectively erases the fine lines altogether. Micro-needling using Skin Pen can be used to remove fine lines, wrinkles and stretch marks in any part of the body, and improve the overall aesthetics of the skin. 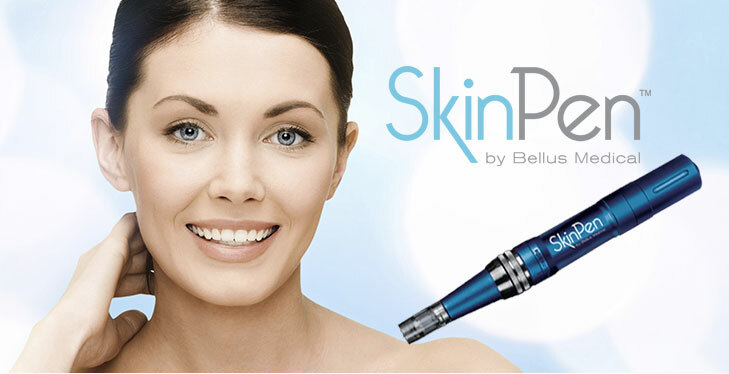 Skin Pen is a quick and painless procedure that is conducted in-office. Neither is anesthesia used nor is there any recovery time involved. Skin Pen works on all skin types and results can be seen quickly. To further optimize the results from micro-needling, we also offer SkinFuse. This is a precise skincare regimen that is used to deliver essential nutrients to the skin after a micro-needling procedure and accelerate self-healing.